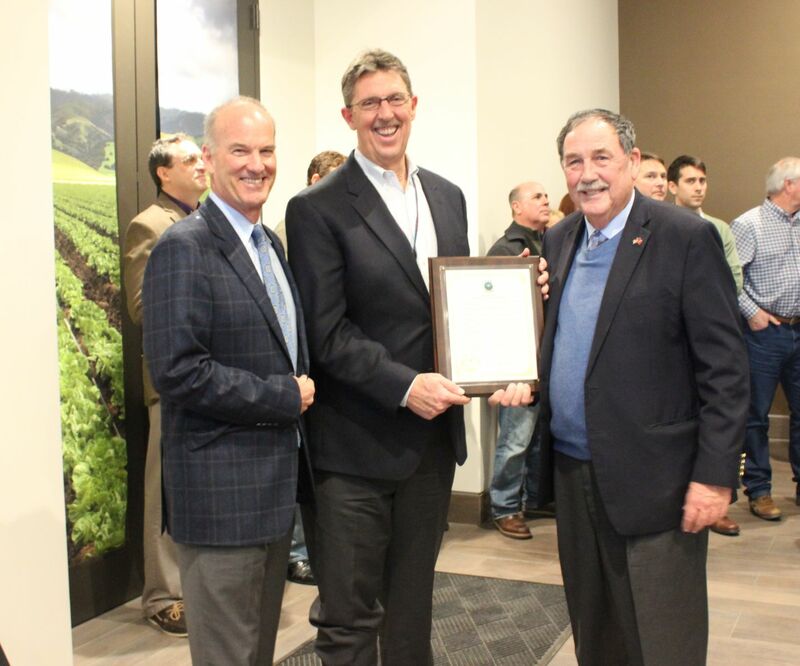 The Western Growers Center for Innovation and Technology (WGCIT) recently celebrated its one-year anniversary, and they honored this milestone by hosting a ceremony and open house yesterday. Located in our Taylor Farms Headquarters in Salinas, CA, the Center’s purpose is to accelerate the development of innovative technologies and help solve the challenges facing the agriculture industry. Since first opening its doors a year ago with six startup companies, the WGCIT has transformed into a hub of collaboration and innovation, now housing 27 Agtech startups focused on tech driven products and services, including; renewable energy technology, soil pathogen testing, and precision agriculture software to manage farm operations. Yesterday’s ceremony kicked off with an introduction from Hank Giclas of Western Growers, followed by Brian Curtis, CEO of Concentric Power, one of the Center’s local start up successes. Curtis explained his excitement around the completion of two “cogeneration” systems, one of which is located at Taylor Farms Gonzales. Dennis Donohue, former Mayor of the City of Salinas, was noted for his new leadership role with the Center, and explained that moving forward the WGCIT will be spearheading development with more startups, especially those focused on food safety solutions and water conservation.